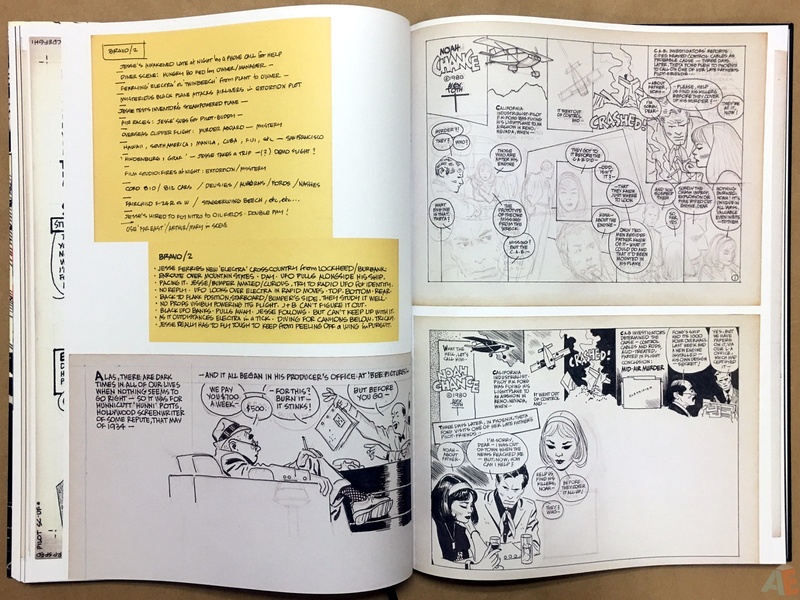 While it lists Scott Dunbier as a consulting editor and numbers this volume as Artist’s Edition #48 this is an entirely Library of American Comics production. 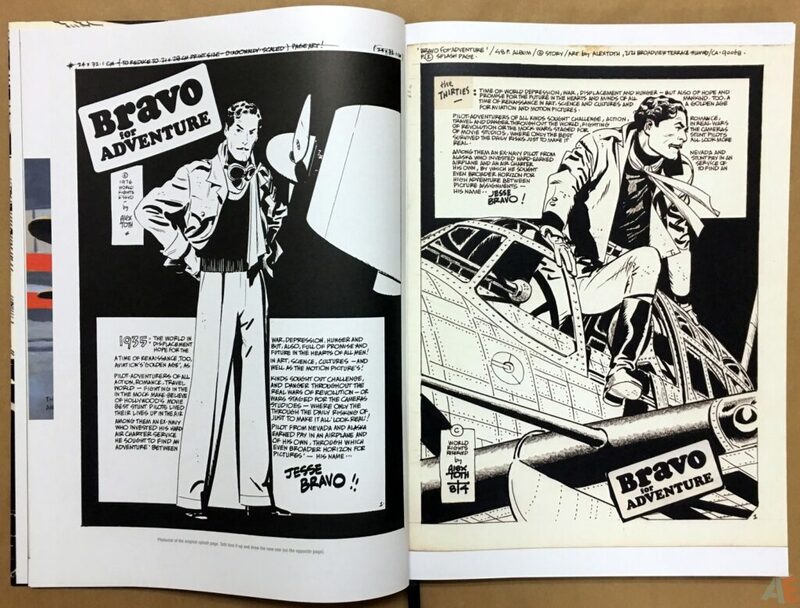 They had all this original material for the 2015 Bravo For Adventure hardcover, and the stories were presented along with a sample of the colour guides and story notes. 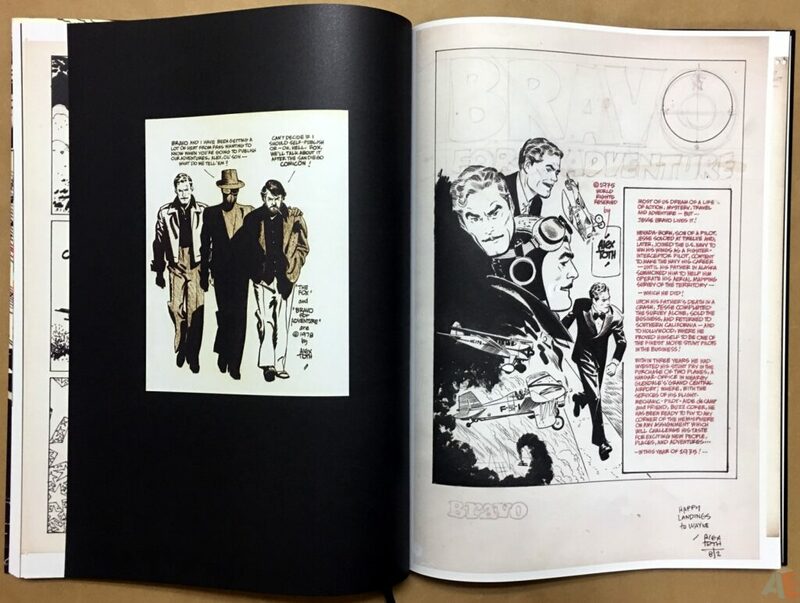 This book contains everything hinted at in the first book: the full run of pages from the two complete stories, the complete colour guides and as many story notes are were available. 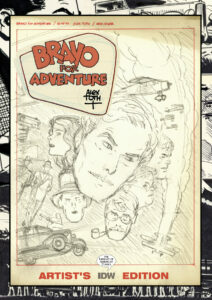 In short, everything out there related to Bravo For Adventure, shot just as it is. 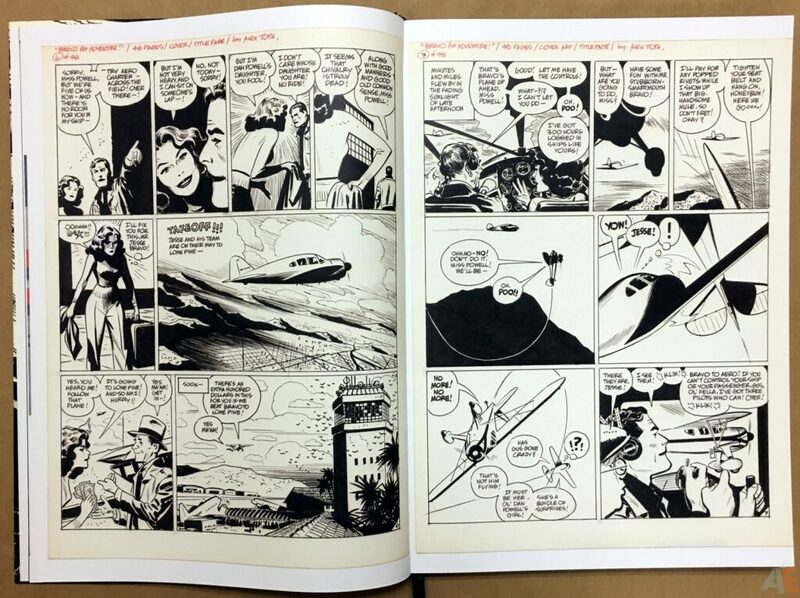 The scans are all wonderfully clean and clear, with no haze or pixelation. 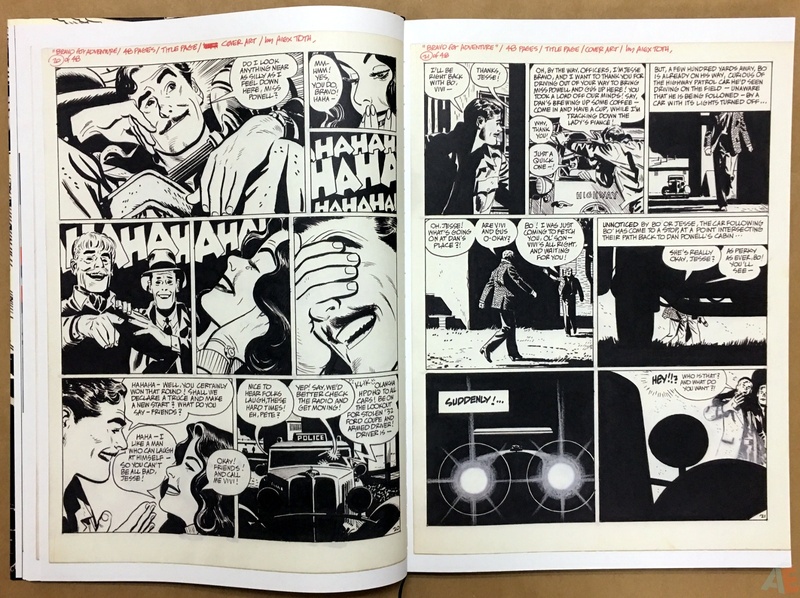 The pages show some ageing and are mostly off-white to yellow with browning along the edges. 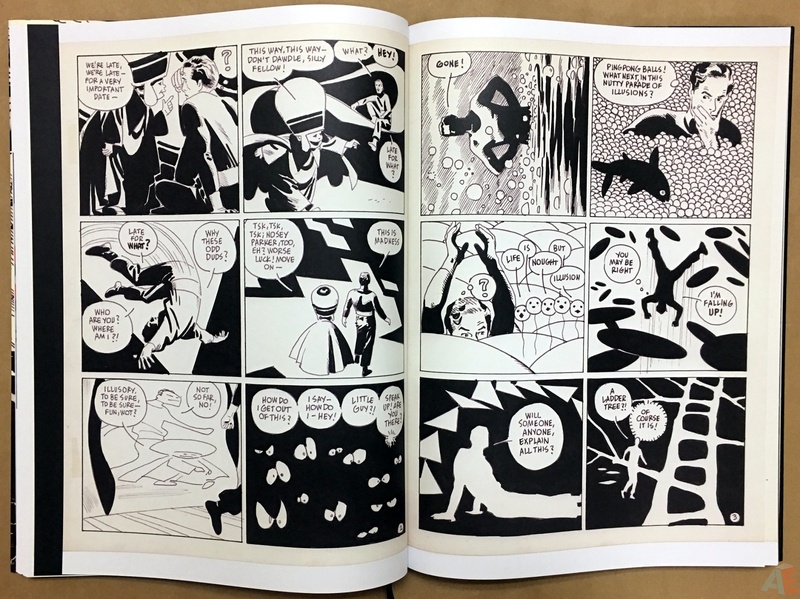 The blacks are very uniform, with no gradients. 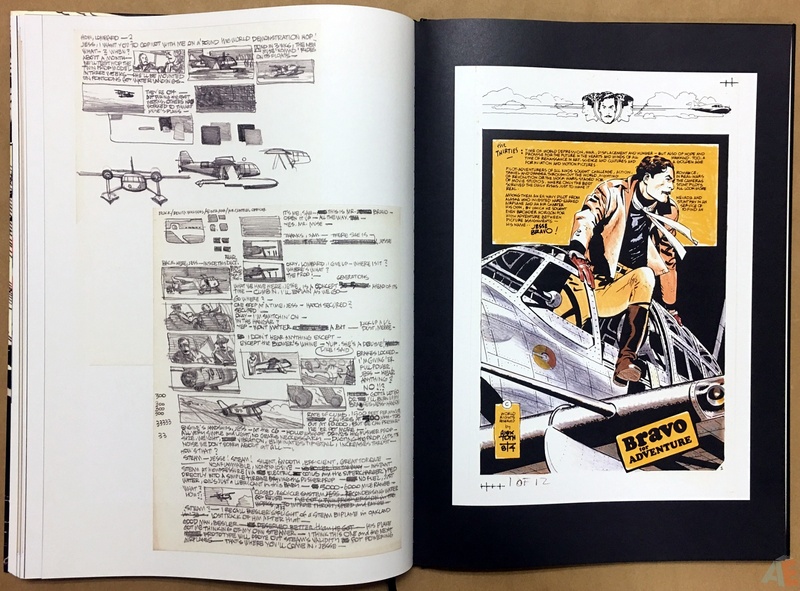 It looks like Toth used a marker for the lettering, and while it’s fading throughout it’s still very legible. 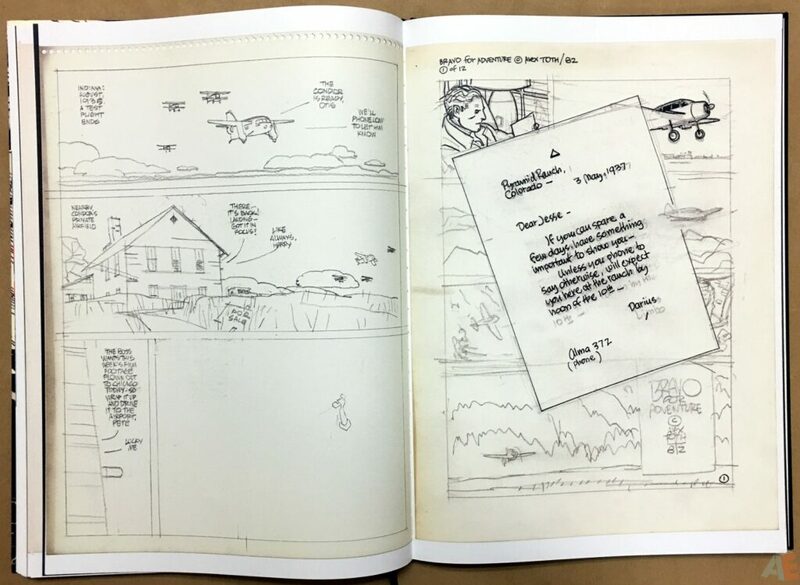 Page notes are scarce, just production information, but that’s to be expected from cartoonist work. 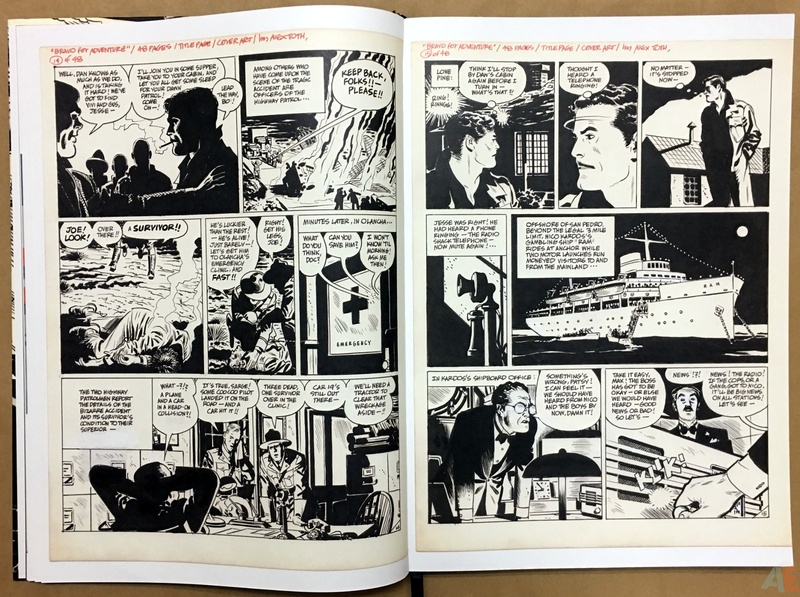 Judicious corrections throughout, with Toth uses correction fluid along with white and grey on the faces. 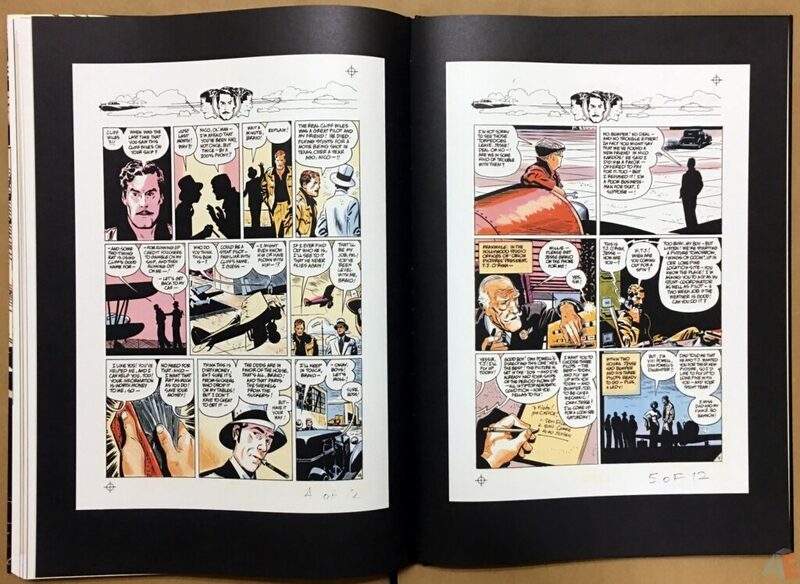 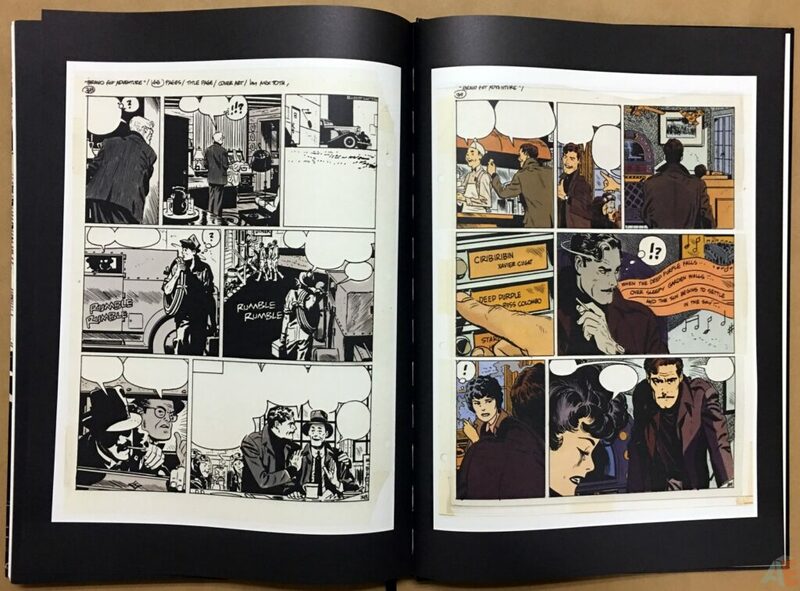 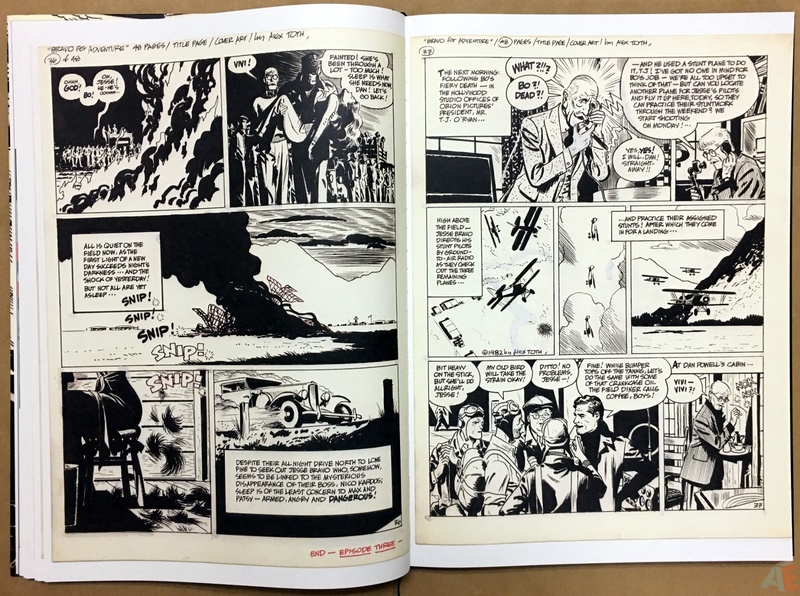 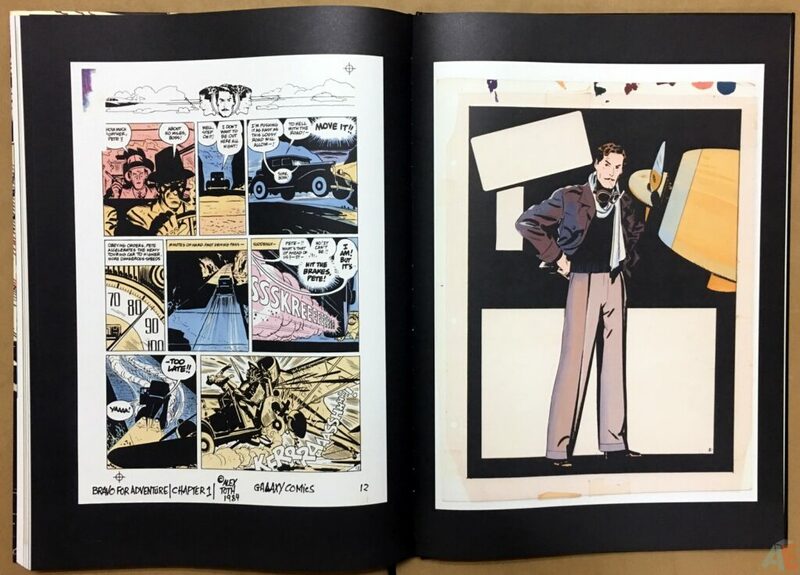 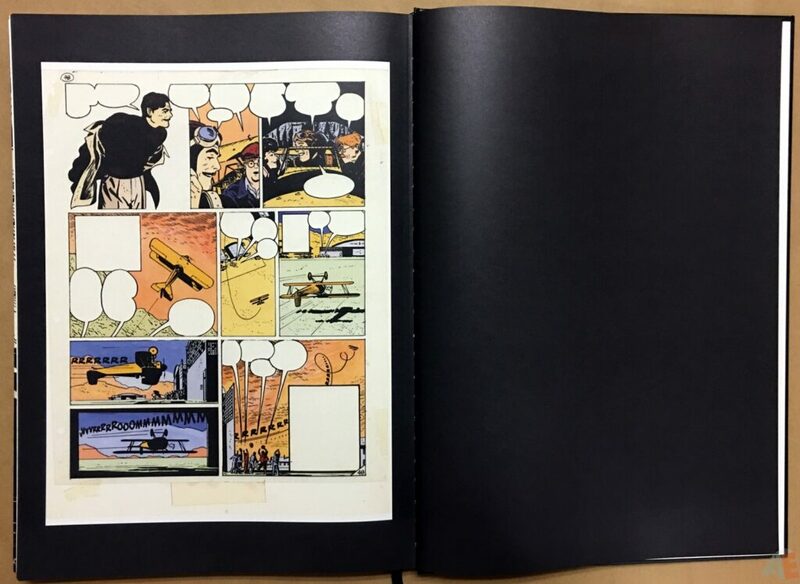 We’re treated to two different colouring methods, with colours applied directly to a photostat page of the art for Toth’s hand coloured portion and an acetate overlay of the black and white art over top of the coloured page. Design by Mullaney is very minimal but effective. 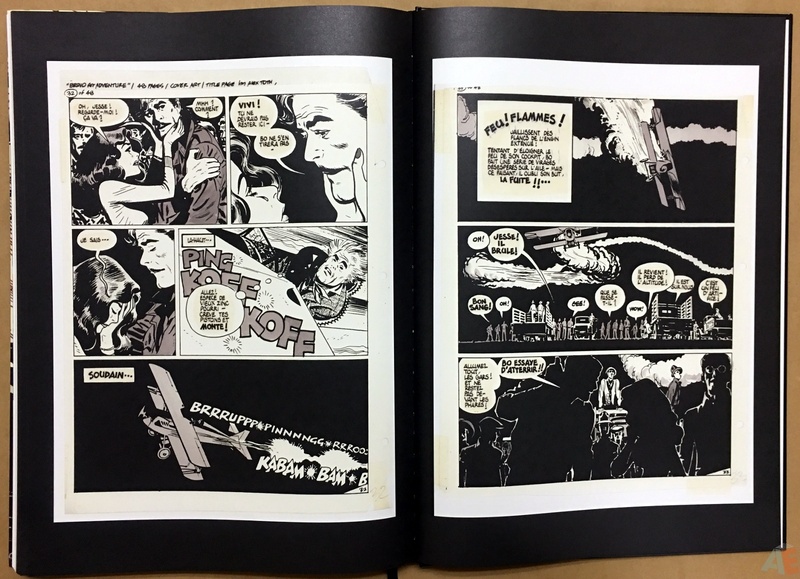 Putting the smaller colour guides on a black background make them pop and enhance the scans. 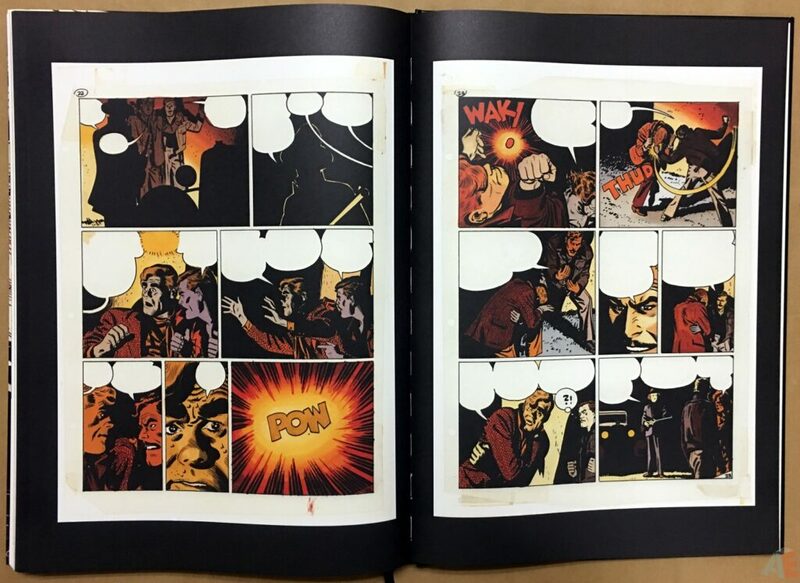 Plain black chapter dividers. 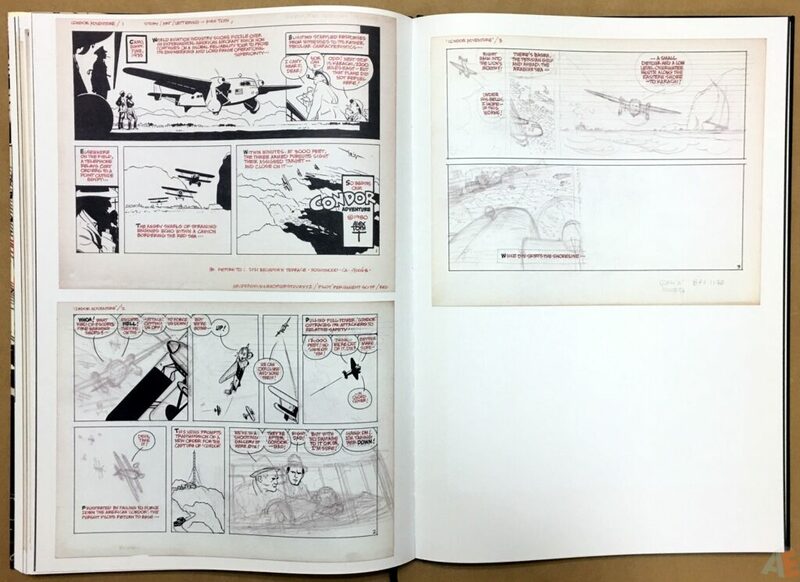 The cover design of unfinished pencils over a completed page is quite clever and eye-catching. 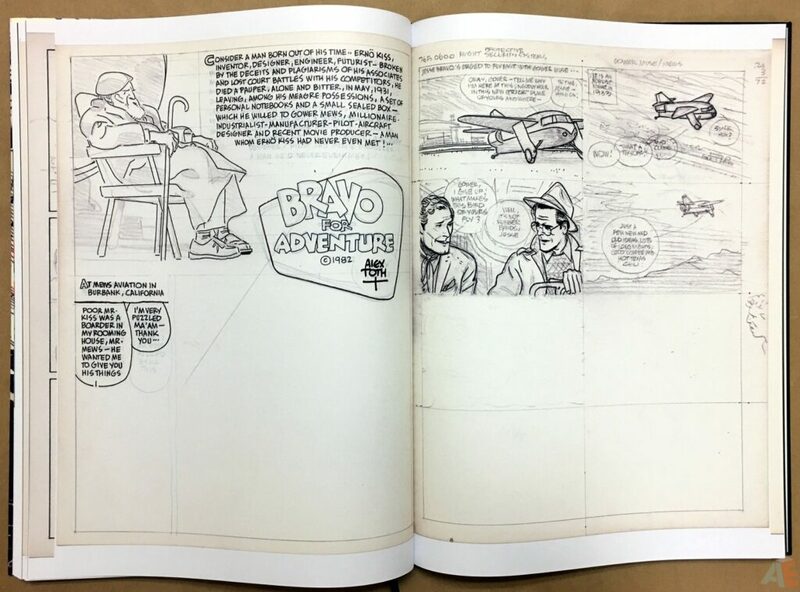 Plain white endpapers feel like a lost opportunity, and along with no closing biography are the biggest deviations from the IDW Artist’s Edition format. 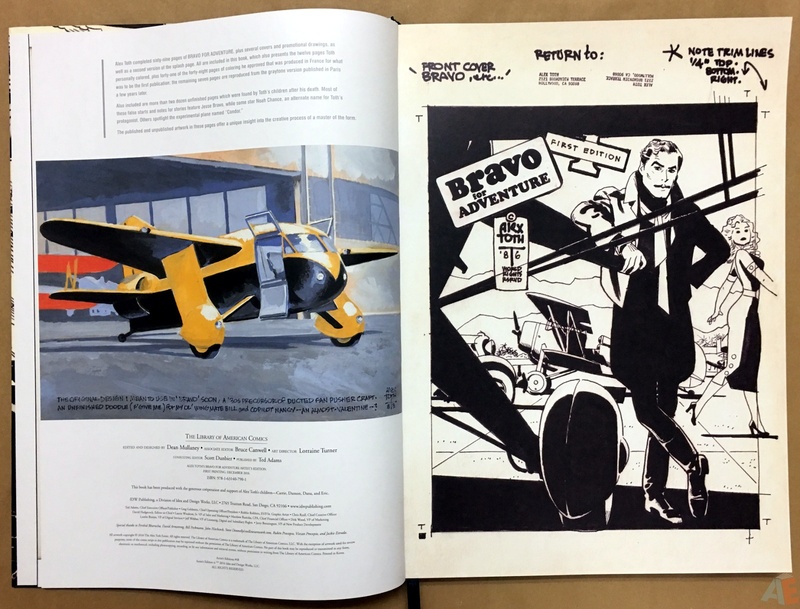 After producing three volumes of Toth biographies a one-page biography would have been nice. We do get a one paragraph introduction sitting atop the indices. 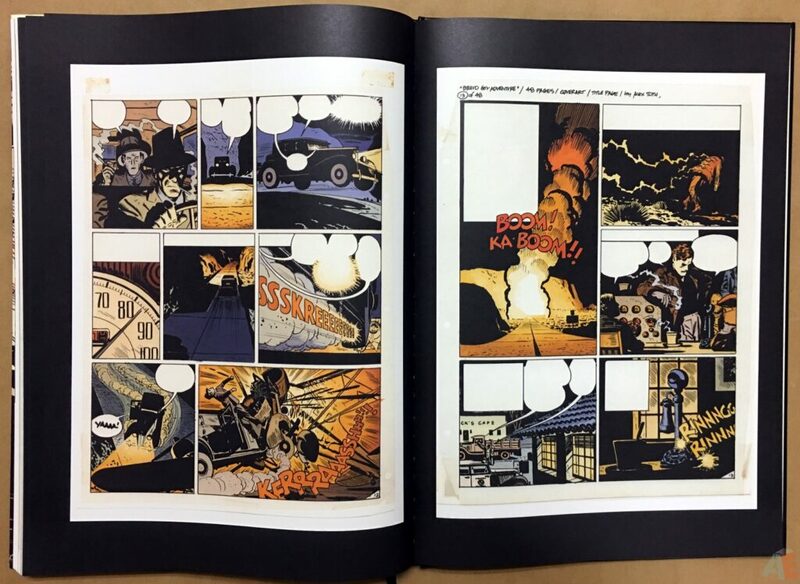 Production is excellent: sewn binding of thick matte paper stock. Especially appreciated is the hallmark Library Of American Comics silk ribbon! 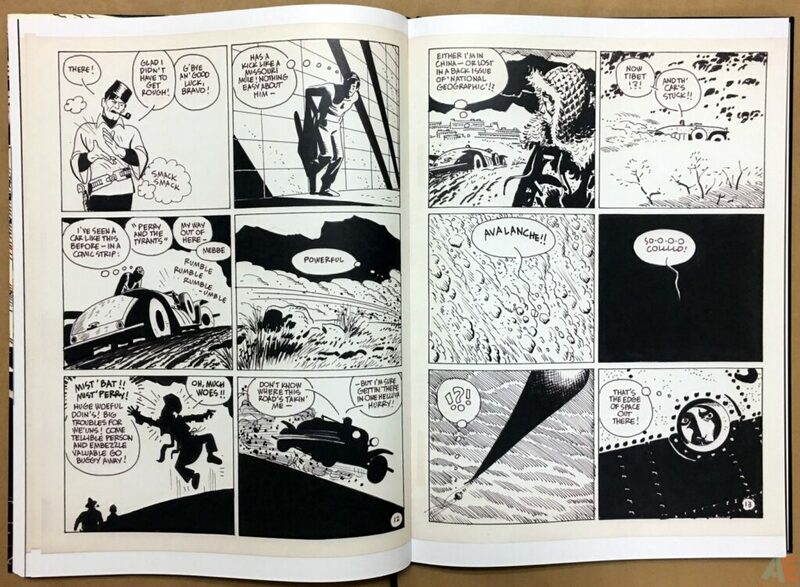 Alas, we have no table of contents or page numbers, even though 98% of the scans are smaller than the page size and could have accommodated the numbers. 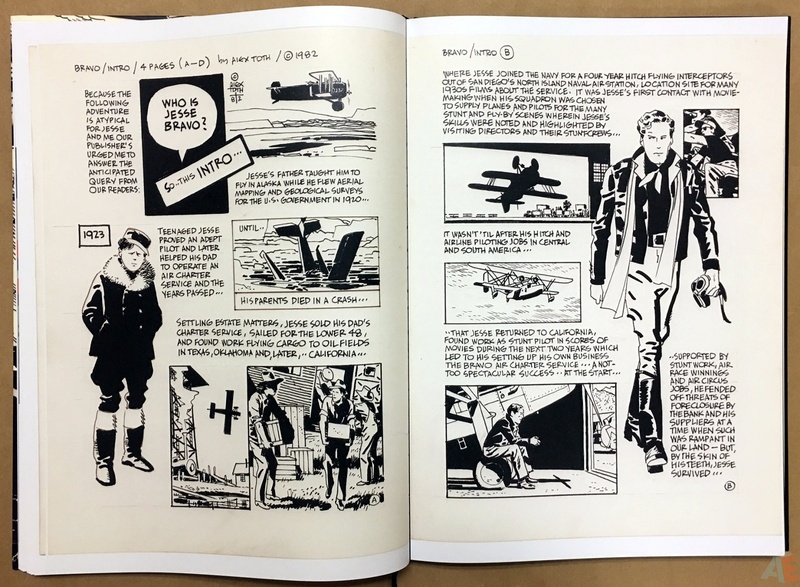 The book comes shrinkwrapped in a cardboard case with a small colour sticker showing cover image and UPC. 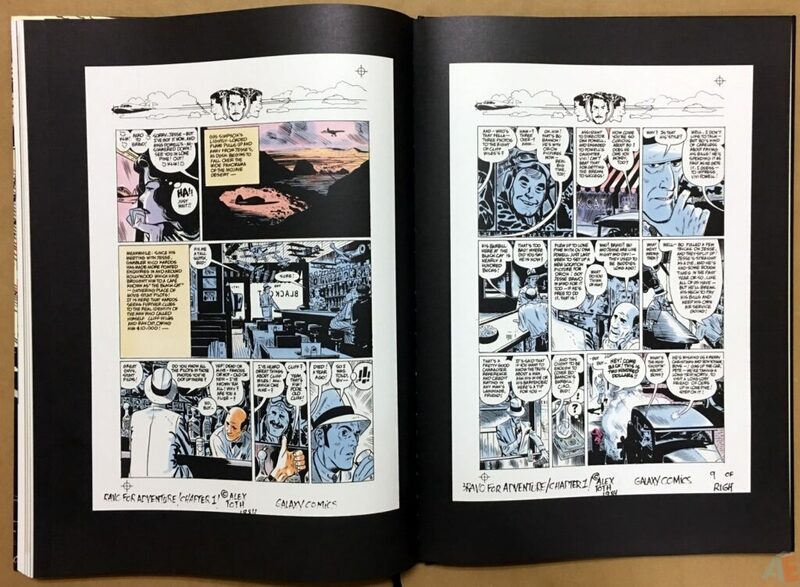 The sticker has a grey border and sets it apart from the other IDW editions just a little. 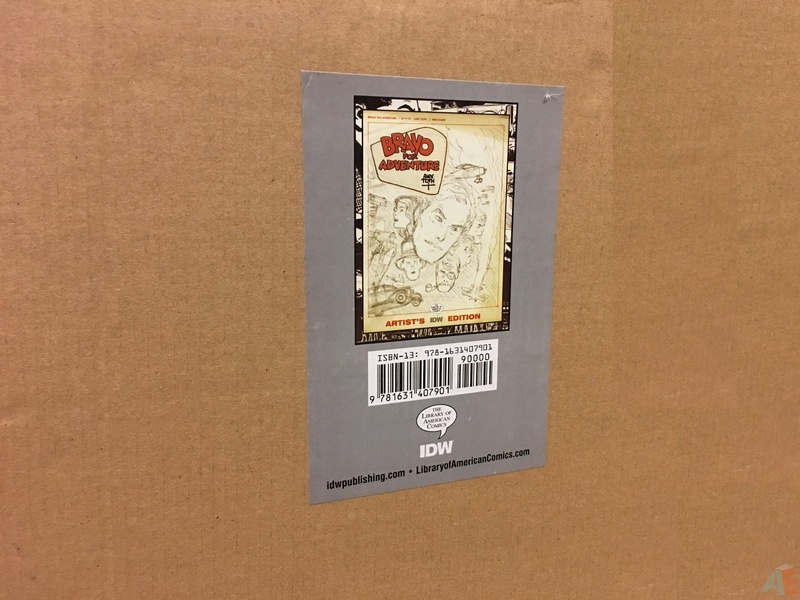 The cardboard of the case seems thinner and wouldn’t stay closed. 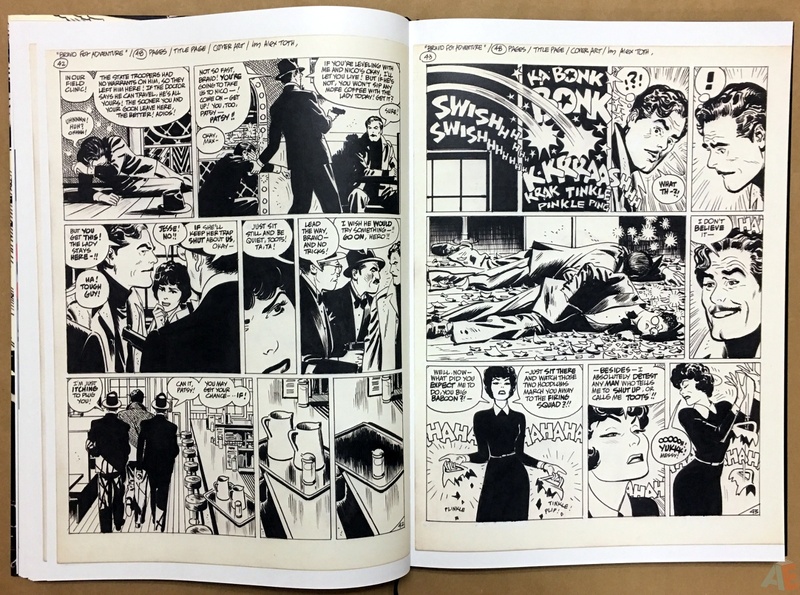 All in all an excellent first Artist’s Edition volume from The Library Of American Comics, with room for improvements. Hoping for Alex Raymond, Cliff Sterrett or Milton Caniff next!